I love the dragon christmas tree decoration. What about the Ozy replica one? Nothing beats falling asleep by the fire in the arms of a loved one during Christmas time. I have no memories of falling asleep on the lap of a red dragon on Christmas. ‘They’ must have found a way to spoil that, too. Yeah, I feel much the same. 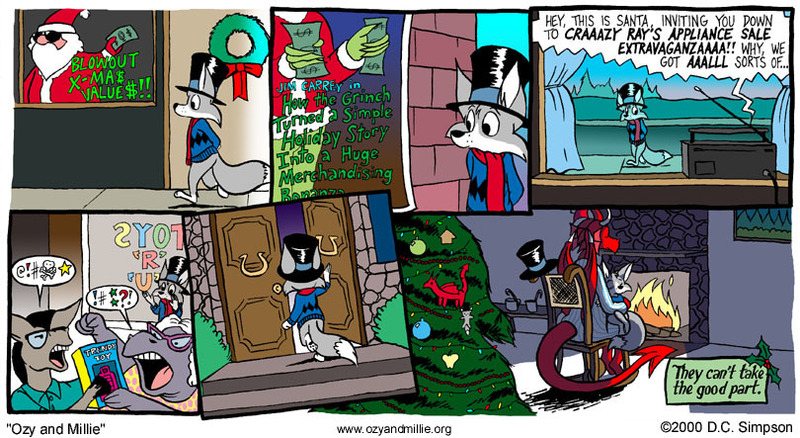 I can’t even remember being an anthropomorphic fox with a vest and top hat. I had fires in my basement so big the stones on the mantle blackened from the flames and the tiles next to the fireplace bubbled.